Royal Bank of Canada (RBC) has launched a live video service to let its clients connect in real time with its advisors. 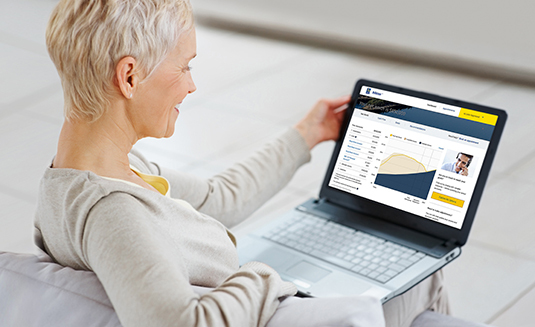 Called MyAdvisor, it uses an online advice platform to digitally connect a client to an advisor, where both can view and adjust a dashboard showing the client’s savings and investment goals and establish actions to achieve those goals. Michael Walker, vice-president and head, mutual funds distribution and RBC financial planning, says it combines the “convenience of digital access and the personalised advice of our advisors”. It is being piloted in Ontario, and RBC is using feedback from pilot participants to further shape the final product ahead of a full national launch. MyAdvisor is a product of RBC’s Toronto-based innovation lab. Other labs are located in the US, the UK and Europe. Wave – a business financial management (BFM) solutions provider from Toronto – has signed a deal that will integrate its invoicing, accounting, and business financial insights technology into Royal Bank of Canada’s online banking platform.